LUXE Models Blog: Khloe & Lamar: Rumours or Truth? Khloe & Lamar: Rumours or Truth? 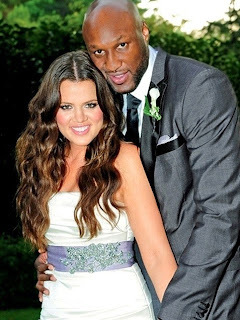 For around a month now there have been numerous rumours regarding Khloe Kardashian Odom and Lamar Odom’s relationship. First there were reports Lamar cheated, then there were reports they were splitting for good. More shocking rumours stated that Lamar is a drug addict, despite being a sports player, so Luxe Models wanted to get to the bottom of the rumours and try and find out the truth. It seems strange that so many different media sites and gossip magazines are repeatedly releasing stories about the infidelity claims, as well as the latest drug taking reports. However, in this day and age the majority of people know to not always trust the media. When you’re in the spotlight there are always going to be rumours that a person has cheated, even if they are someone who is extremely unlikely to. All it needs is a person who has been in contact with a star, who wants to earn some quick cash, a bit of proof that they have in fact met them and bam, you have a story. If a person is going to sell a story on a star they will have made sure they took hard evidence away from the situation when they had their opportunity, so the fact there isn’t any evidence makes it seem unlikely to be true. In relation to the rumours surrounding his drug taking, with him being a sports star surely they would also have proof about that. He would also more than likely have been suspended from playing basketball, but it appears that hasn’t happened either. Furthermore the couple haven’t showed any signs that they are splitting on their Twitter or Instagram accounts, instead only ranting about how fed up they both are about the rumours in the media. In fact the only thing Khloe is probably worrying about at the moment is the release of Eminem’s new song, which mentions Khloe and refers to her as the ‘ugly Kardashian’. Luckily Khloe is thick-skinned so we’re sure the news won’t bother her too much, especially because she’s anything but ugly!